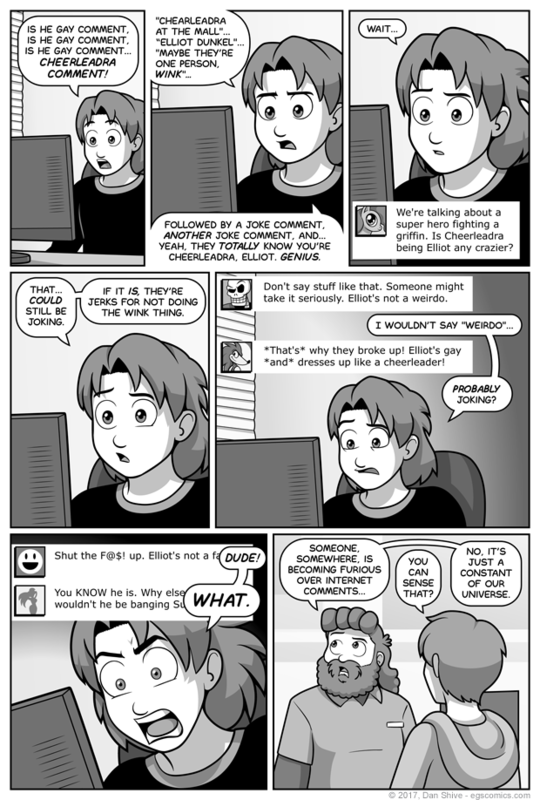 I think the avatars are I used in this comic to make clear that the comments were being made by different people are fun, and I enjoyed making them, but there's a reason beyond that why they're in the comic instead of names. Specifically, I didn't want to use any names actual people are, were, or might use in the future. I can put as many numbers at the end any given name as I want, you just know someone's going to be using it somewhere. Plus, given that that's the solution, all the names would be horrible messes of numbers and symbols anyway. ...Okay, sure, but avatars ARE fun.